Sold out in NYC, Melbourne, California and Brighton, EarFilms award-winning production “To Sleep To Dream” comes to The Tom Fleming Centre as part of Summerhall’s programme. A unique cinematic storytelling experience. 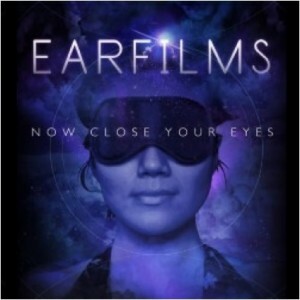 Blindfolded and seated in a 3D array of 23 speakers, lose yourself in a vivid soundscape storyworld with locations, characters and live narration that unfold around your ears and imagination. To Sleep To Dream tells the story of the last dreamers in a society where dreaming is illegal. 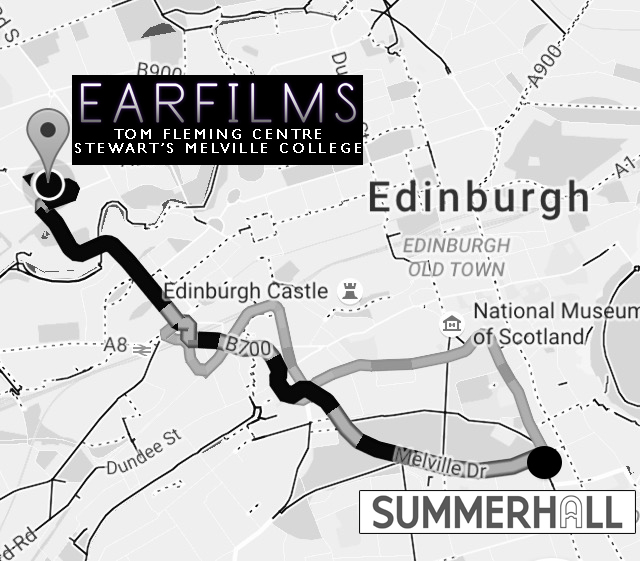 EarFilms is a short distance from the city centre in a magical location – see image. Allow plenty time to get to the venue and arrive at least 15 minutes before performance time. Walking: allow 20 minutes from the West End/Princes St. Walk through the gates to the main college building. Doors to Tom Fleming Centre are on the left side of the building. Driving: Drive around the back of the venue, use Ravelston Terrace entrance. Turn into the drive at the back of the school, sign posted Stewart’s Melville College and Tom Fleming Centre.